Meeting this strict, respectable lady in her crotchety cardigan, you would never guess her secret vices. Even if you’d suspect anything, most likely you’d think of a sweet sherry. But fire? Eating? EATING FIRE? 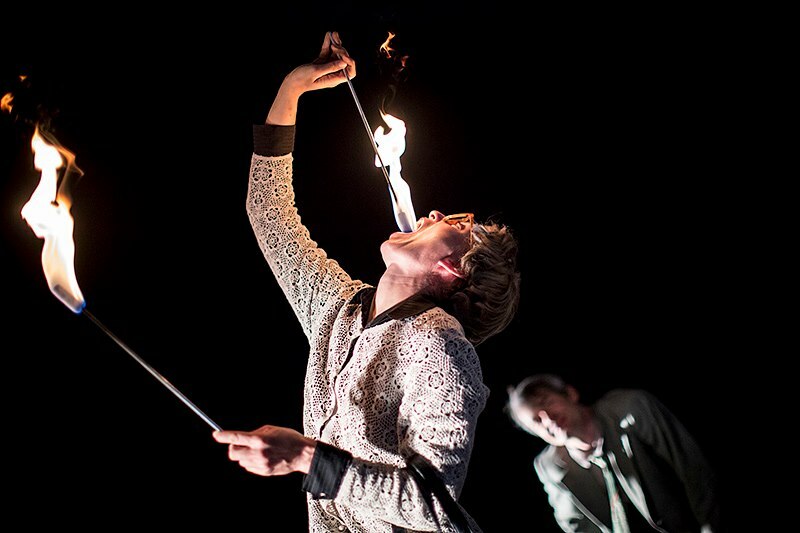 Fire show: Duration 12 min, fire eating, fire ropes, fire fans. 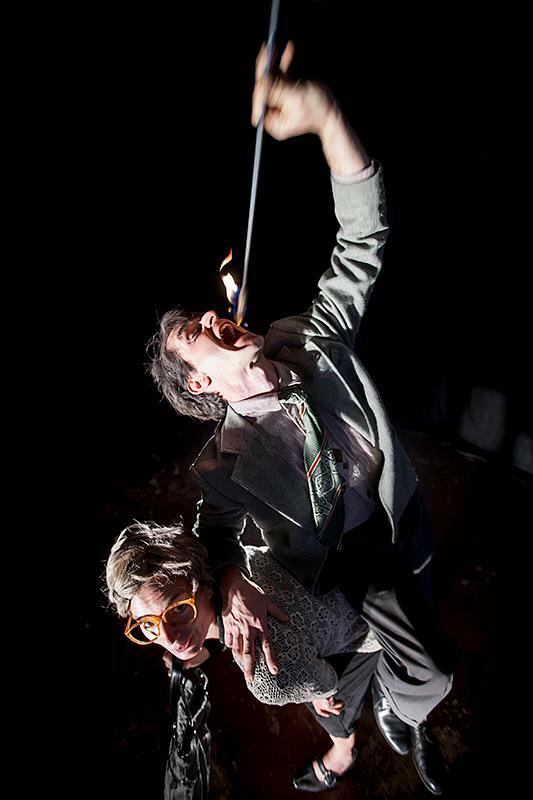 Fire Walk Act: Duration 30 minutes per session, fire eating. This old couple has been living happily for many many years! 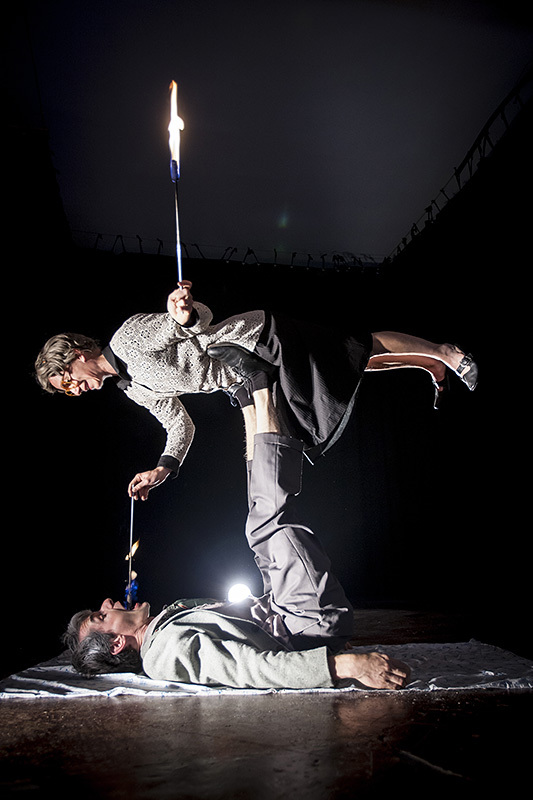 Their passion about fire never extinguished and kept them together in all their quirkiness. 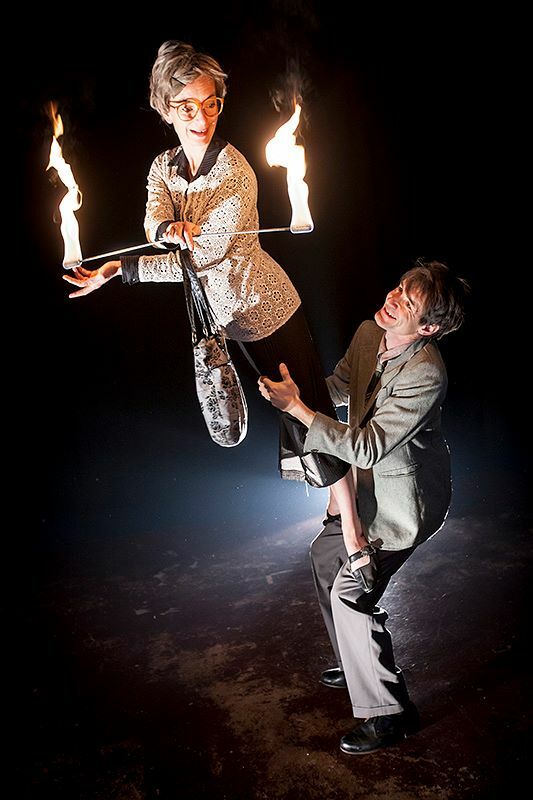 They swallow fire or enjoy the heat on the body – and are so happy about it, that you cannot help feeling happy yourself! 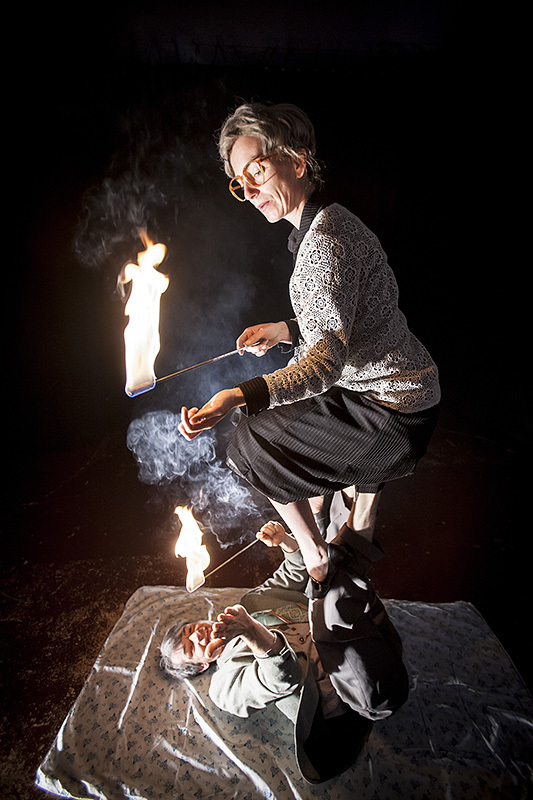 Fire walk act: Duration 30 minutes per session, fire eating, acrobatics.